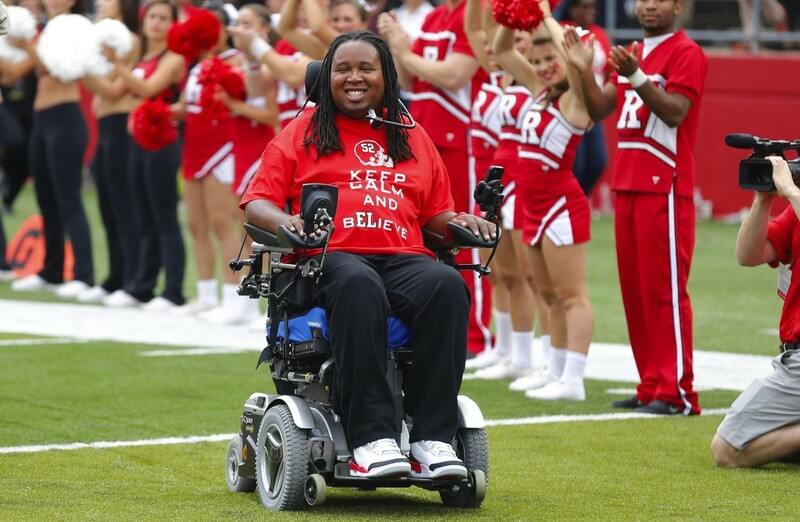 For Rutgers defensive tackle Eric LeGrand, it was a routine play that he had made countless times before. With 5:10 left in the fourth quarter, LeGrand dashed down the field at New Meadowlands Stadium (now MetLife Stadium) in pursuit of Army kick returner Malcom Brown. He then made the biggest mistake of his football career. He lowered his head just before making contact. The hit was violent—so violent that it broke Brown’s collarbone. But the first thing everyone noticed was the way LeGrand’s body stiffened as he fell to the ground. He was paralyzed below the neck and was struggling to breathe. LeGrand was rushed to Hackensack University Medical Center where he had emergency surgery and spent the night in the intensive care unit. He had fractured his C3 and C4 vertebrae. The doctors delivered the devastating news to LeGrand’s mother. He had broken his neck and would never walk again. Over the course of the next several days, LeGrand had visitors that included his Aunt Cheryl and Uncle Ariel. On one occasion, Rutgers head coach Greg Schiano was also there and joined in as they gathered around his bed and prayed for a miracle. And then his aunt asked LeGrand if she could read Psalm 23 to him. The next several weeks were difficult, but eventually LeGrand was able to breathe without a ventilator and regain some motion in his shoulders. He has written a book about the experience and continues to inspire audiences with his courageous testimony of faith. On July 11, 2012, he received the Jimmy V Perseverance Award at the ESPYS. And when his soul is troubled, he returns to that powerful Old Testament passage from David and is emboldened to hope for the impossible. Dear Lord, we thank You for the encouraging words in the Bible. We thank You for the comfort that they bring us when we are down. In the Name of Jesus, Amen.